We love to design and develop websites. 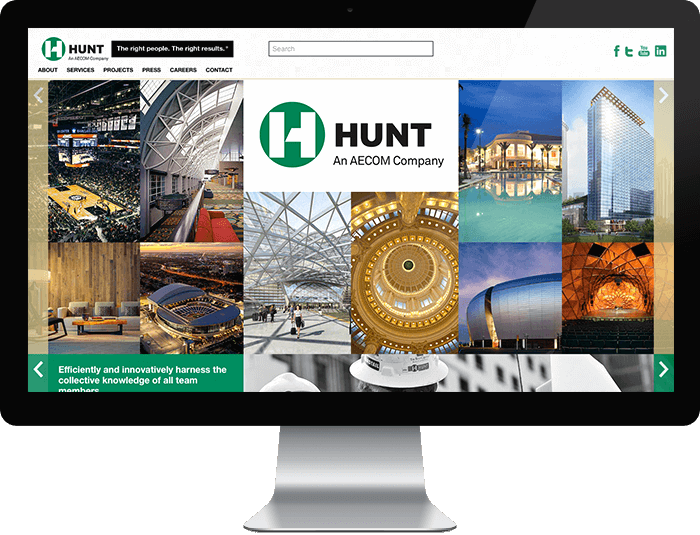 Hunt Construction Group is an American construction management firm based in Indianapolis, Indiana. 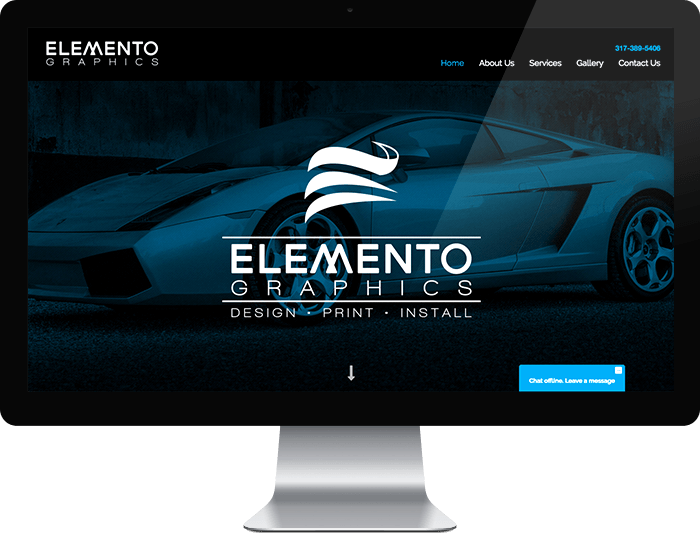 Elemento Graphics is a full service graphics company specializing in vehicle wraps and graphics. 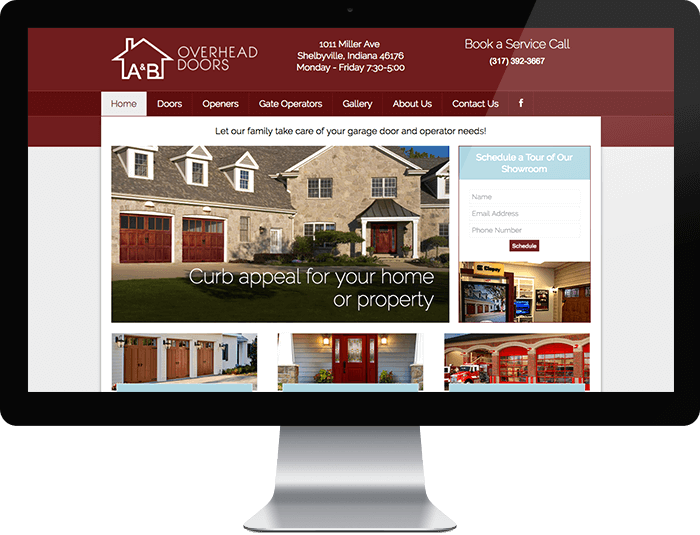 A&B Overhead Doors is a family company that specializes in quality sales, service, and installation of residential and commercial garage doors and operators across central Indiana. 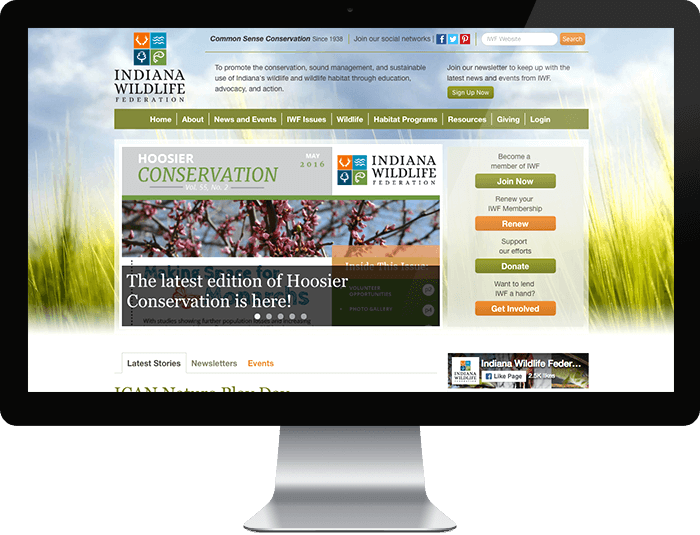 Indiana Wildlife Federation is an organization with a mission to promote the conservation, sound management, and sustainable use of Indiana's wildlife and wildlife habitat through education, advocacy, and action. 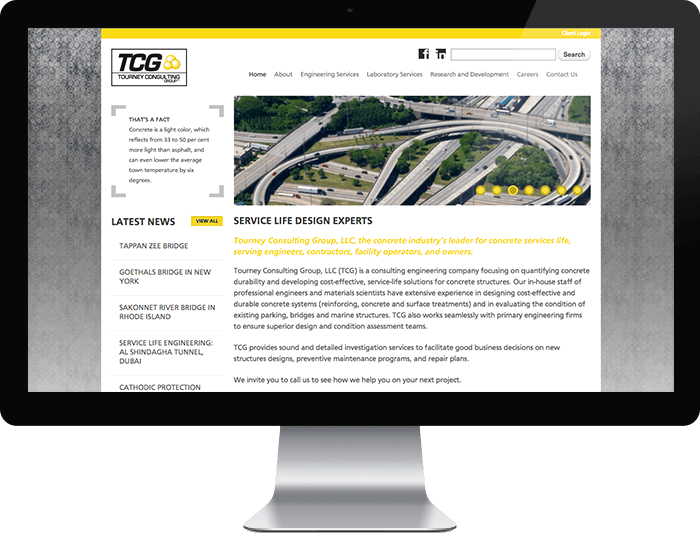 Tourney Consulting Group is a national consulting engineering company that focuses on quantification of concrete durability and cost effective service life solutions for concrete structures. I.W.I.N. 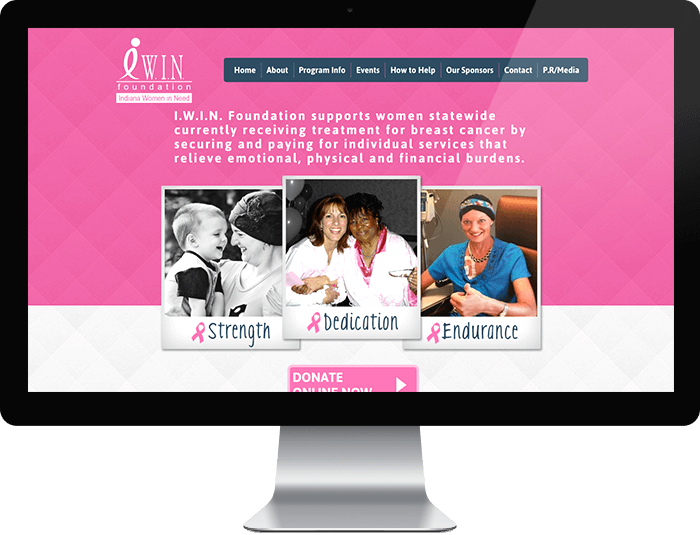 Foundation is an organization that supports women statewide currently receiving treatment for breast cancer by securing and paying for individual services that relieve emotional, physical and financial burdens. 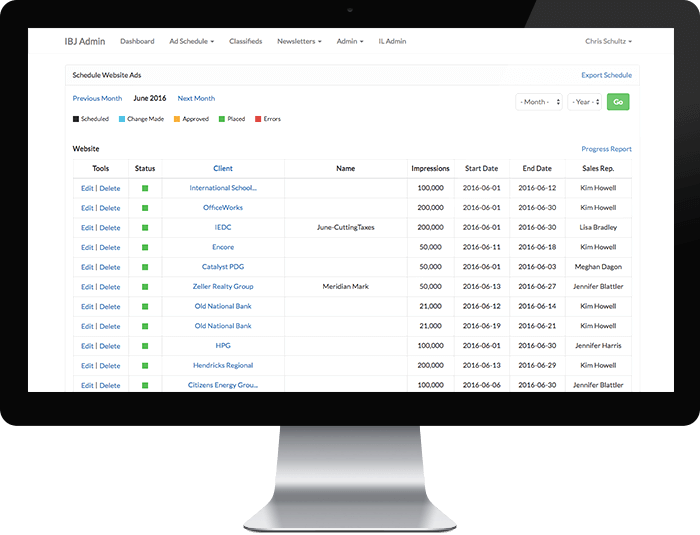 IBJ Admin is a web application for scheduling ads that run on IBJ Media products and building IBJ Breaking News and News Update e-newsletters. Indiana Wildlife Federation – "What's in your wild backyard?" Indiana Wildlife Federation –"What’s in your wild backyard?" 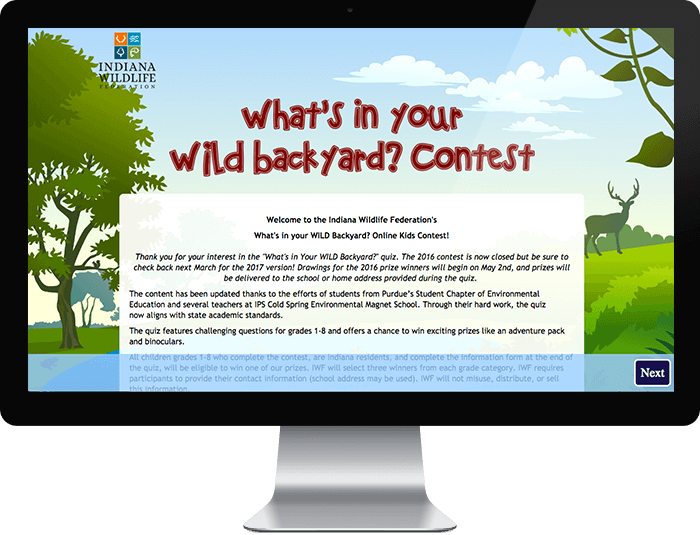 is an online contest where children from grades 1-8 can learn about plants and animals that live in their backyards. 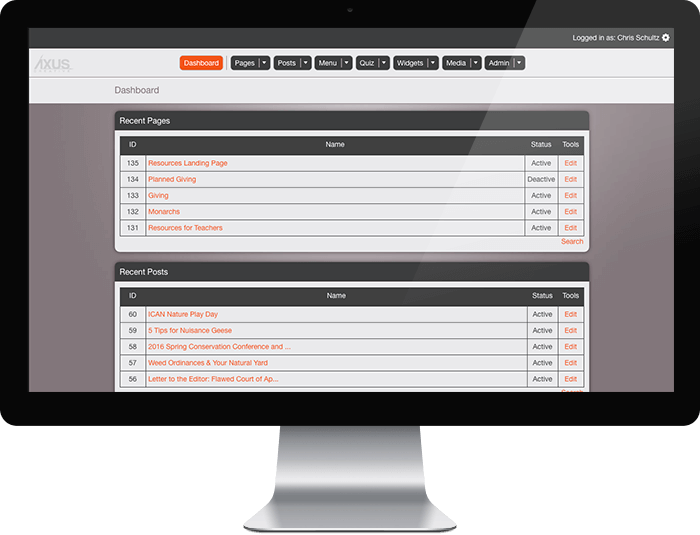 Axus Admin is a content management system (CMS) used to manage a website.